Matthew: As the rhubarb at the market gets bigger and more green each week, I decided that this week would be my last hurrah with rhubarb for the season. I’ve done unconventional things thus far, so I thought I would try something more familiar. 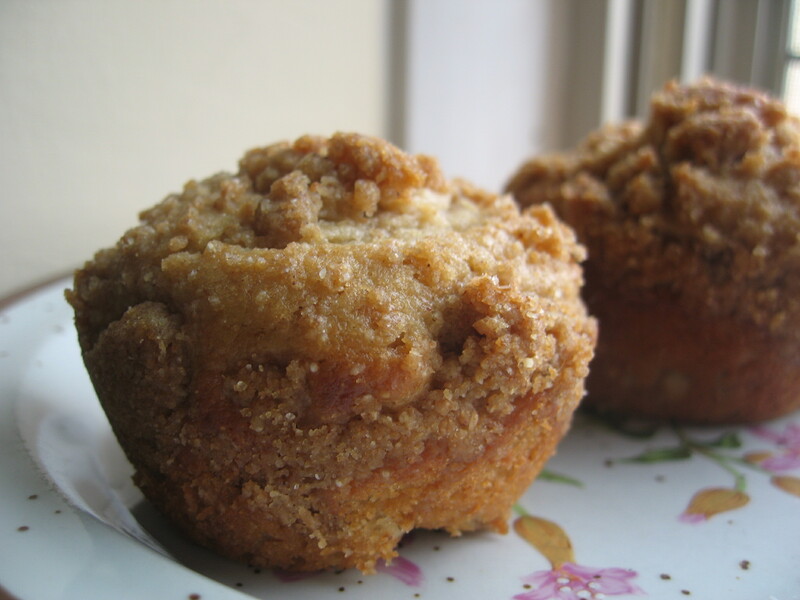 I saw this recipe for rhubarb streusel muffins on Smitten Kitchen and thought it sounded good. These muffins are sort of like rhubarb crisp in muffin form. They were really quick to make and turned out very moist with the addition of sour cream. I used 1:2 ratio of whole wheat to regular flour and that seemed to work out well. Ok, so I guess my last use of rhubarb wasn’t entirely traditional. In addition to making the muffins, I extracted some juice from the rhubarb and used it to make a really fantastic rhubarb margarita. 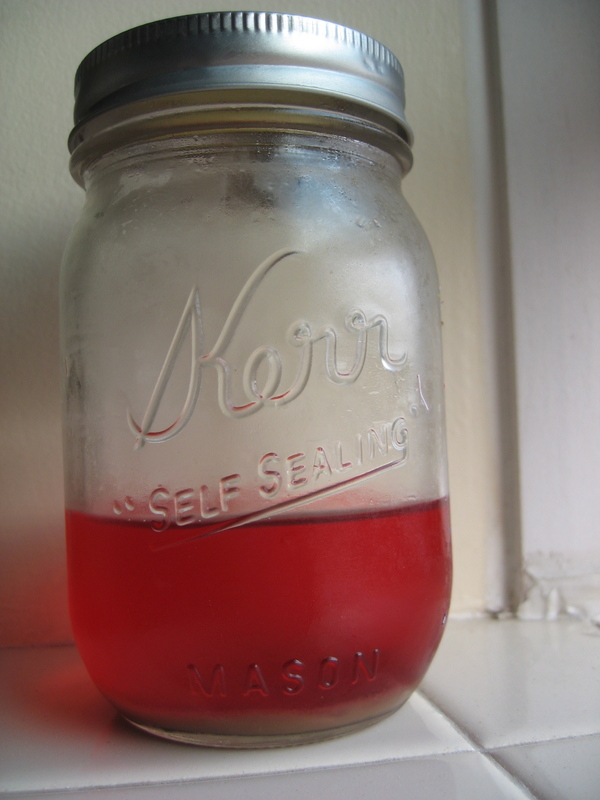 Juicing rhubarb is a little strange, but all you need is a blender and some cheesecloth or a sieve. I followed the instructions for juicing here. For the margarita, I used approximately 3 oz of rhubarb juice, 2 oz of tequila, juice from 1/2 a lime, and 2 oz plus more to taste of triple sec. I have to say, this was the perfect summer drink! Below is a photo of the juice before I made it into the margarita.